OUT: Memories Pizza is bigoted for refusing to serve gays! IN: Memories Pizza is bigoted for serving Milo Yiannopoulos! That sure is some virulent hate speech, huh? It still makes me angry that these gentle, decent, hard-working people were targeted like that, merely for expressing their religious beliefs in public. They were just minding their own business — literally! — when some local TV reporter wandered in and asked them about gay weddings. Then it went viral, and a vicious mob tried to destroy them. The O’Connor family did absolutely nothing wrong. As a #NeverTrump guy, I think Milo is right that Memories Pizza was a turning point in the 2016 election. I was outraged. So were a lot of other Americans, to the tune of almost $850,000 raised in 48 hours. The hateful cretins who hounded these people should be ashamed of themselves. But then, if gay-rights activists had any sense of shame, they wouldn’t have done it in the first place. Shouting people down for disagreeing with you can work in the short run. You might succeed in shutting them up for a little while. But they’ll remember what you did, and they’ll show you what they think about it on Election Day. So far, the Democrats haven’t learned that lesson. I hope the Republicans don’t have to learn it in 2020. P.S. I don’t care what anybody says, Milo: I like the nail polish. 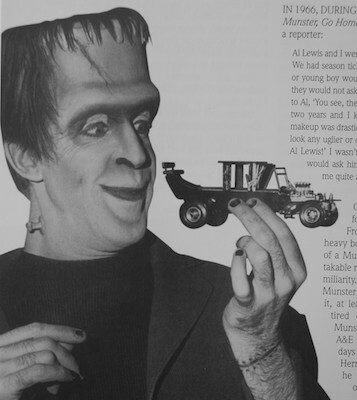 Not many guys can pull off the Herman Munster look, but you make it look effortless! I don’t like it when the POTUS mocks and derides and lies about his own citizens for disagreeing with him. That goes for you too, President-elect Trump.